Starbucks is known globally for its wide assortment of drinks, ranging from hot coffee and blended frappuccinos to hot or iced tea that comes in different flavors. However, Starbucks also offer a variety of food options, ranging from sandwiches and paninis to salamis and sumptuous arrays of green salads. 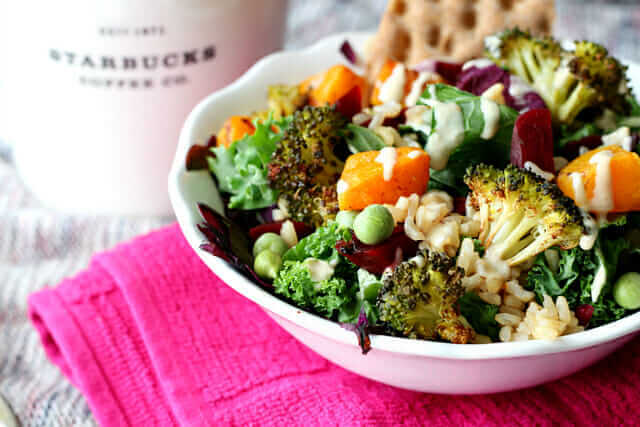 Let’s have a look at some of the healthiest, most delicious lunch items you will find at Starbucks. What makes a sandwich more dynamic and mouth-watering than having a combination of Bacon and Chicken? This recipe is so good that it is usually sold out by two or three in the afternoon. Also, for health-conscious eaters out there, this recipe has more than 12% daily fiber, so it won’t really have a cheat day when you have one of these. It might be because of the sourdough bread or the beef, but this recipe totally reminds us of San Francisco. This recipe features a slow-cooked beef brisket with BBQ sauce, along with roasted onion braised in Gordon Biersch Blonde Bock Beer, Sonoma Jack cheese, and Toasted sourdough bread. 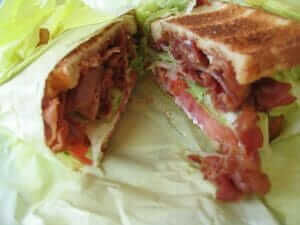 Contrary to what it looks like, it has just the right amount of meat equally spread between the slices. The brisket comes in tiny stringy pieces rather than in chunks. 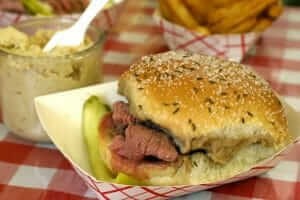 It has the perfect beef flavor, which goes well with the barbeque sauce. The barbeque sauce also has that rich, savory flavor to it. 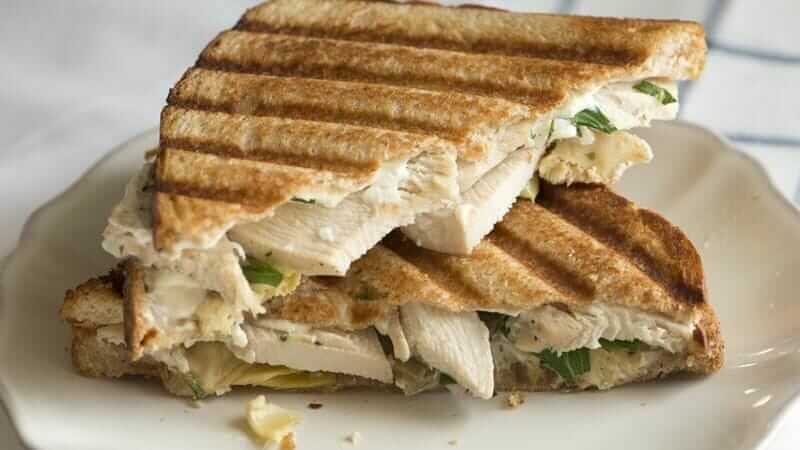 This lunch meal features grilled chicken breast, roasted artichoke hearts, sun-dried tomato pesto, and provolone cheese on ancient grain flatbread. It has remained true to its name – the chicken and artichoke are front and center of this dish, and the cheese is fully melted. The chicken is moist, and the meat and artichoke are tender and flavorful. The flatbread is crisp and has chewy crumbs to it so that it does not feel like a cracker. Overall, everything is placed together nicely. The Egg Salad Sandwich at Starbucks features egg salad mixed with chives, dill relish, and arugula on cider wheat bread. It is a light, yet filling option. 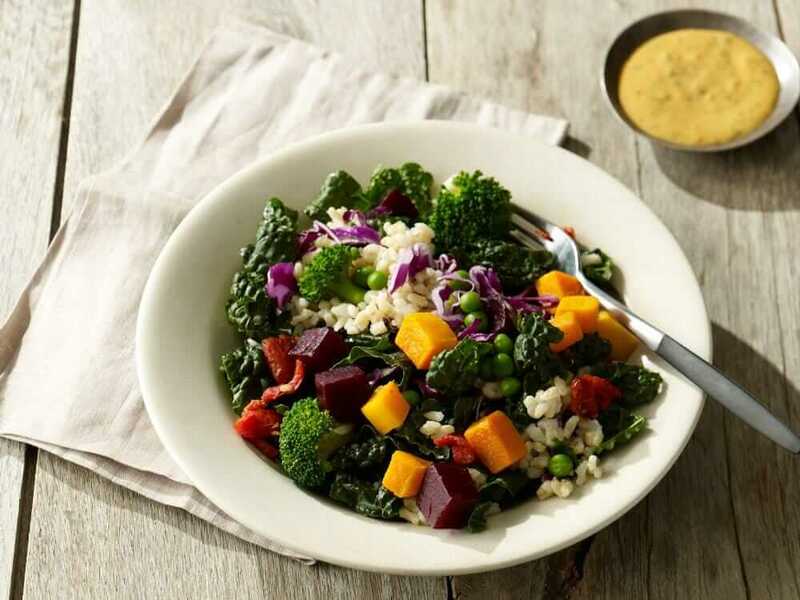 Consumers love this Starbucks lunch option so much that they’ve even created various “copycat” recipes that attempt to mimic the exact ingredients that the franchise uses. If you can’t beat ’em, join ’em – right? This recipe (whether you buy it in store or shoot your shot at making it at home) is a solid go-to Starbucks meal if you’re ever in a hurry. Plus, it pairs well with a hot coffee of your choice. 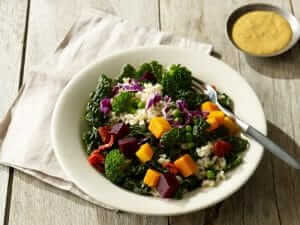 The Hearty Veggie and Brown Rice Salad Bowl features tossed roasted butternut squash, beets, kale, red cabbage, broccoli florets, garden peas, and roasted tomatoes served with brown rice and a side of lemon tahini dressing. This is one of the best salads at Starbucks. The ingredients are a perfect mix of, healthy, innovative ingredients. 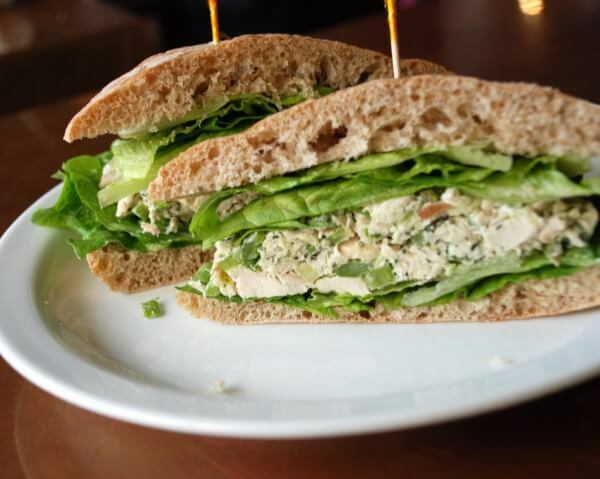 What’s more is that it is packed with iron, calcium, and vitamin C.
Starbucks calls their Chicken and Greens Caesar Salad Bowl “a delightful twist on the familiar favorite,” and we’d have to agree. Rather than the traditional Caesar stuffed with crunchy iceburg lettuce and stale croutons, you get healthier greens like kale. People tend to underestimate this salad at first look. However, it turns out that the kale and romaine lettuce works perfectly together with the dressing and the fresh lemon wedge topping. It is a super light and delicious meal for anyone’s diet. Curious about what else you can order at Starbucks? Check out the Starbucks Secret Menu to uncover the under-the-radar menu items everyone is talking about.